Senior defender Asia Pennock-Franke looks to make a pass in a home match against Lourdes earlier this year. The Pioneers defeated Shawnee state on the road last weekend and resume conference play Thursday at Brescia University. Having only one match last week couldn’t come at a better time for the Point Park women’s soccer team. One match meant having more practice time. The Pioneers used the opportunity to their advantage, with head coach Maggie Kuhn implementing a new midfield formation. Junior captain Gabby Widman called it a diamond formation, similar to the one the U.S. Men’s National Team used during the 2014 FIFA World Cup. Despite only having two training sessions with the new formation, the Pioneers used it against Shawnee State University on Saturday. The move paid off, with Point Park grabbing a 2-0 victory in Portsmouth, Ohio. Freshmen forward Tia Horew scored in the closing seconds of the first half. Meanwhile, senior midfielder Tatum Fabian continued the trend, scoring the final goal with one second left in the second half. Widman explained that the team chemistry is coming together well. Senior defenseman Abby Magliocca said that the two late goals in each respective half were due to the team settling down against Shawnee. Point Park took a total of 20 shots with 13 registering on goal, keeping Shawnee goalkeeper Michaela Garner busy. Meanwhile, on the other end, Ashtyn Webb made four saves. Kuhn called the victory another great team effort. Kuhn said the reason for the midfield formation change was due to personnel and viewing a film from previous matches this pre-season. The players that Kuhn is still missing and hoping to get back within the next couple of weeks include Horew and sophomore Courtney Clark. Horew’s participation in the match against Shawnee was her first action of the season. The Pioneers begin River States Conference (RSC) play this Thursday against Brescia University, traveling down south to Owensboro, Kentucky. 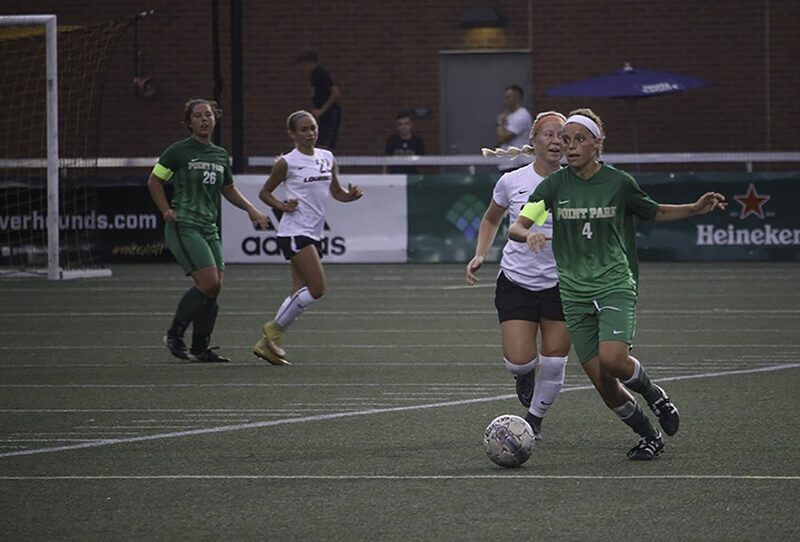 Point Park will have another road match against Cincinnati Christian University on Saturday before returning back to Highmark Stadium for five straight home matches.